As Memorial Day nears, the Manuscripts & Folklife Archives section of WKU’s Special Collections Library offers countless opportunities to gain an understanding of the sacrifices of veterans. Collections documenting the experiences of James Hall (War of 1812), John Donan (Mexican War), Samuel Starling (Civil War), Marvin Hoffman (Spanish-American War), Victor Strahm (World War I), Bert Borrone and Julia Sledge (World War II), Kenneth Fleenor (Vietnam), Jason Hines (Persian Gulf), Adam Ritter (Iraq) and Christopher Davis (Afghanistan) are only a small sampling. Other collections in our holdings, such as the WKU Veterans Oral History Project, attest to the efforts of interviewers to gather and preserve veterans’ stories as part of a national initiative. In Bowling Green, the First Baptist Church and the Presbyterian Church have also undertaken to document their members’ experiences. Enshrined in boyhood, youth, young manhood, lies / A glory that seems all the greater when / Its zenith strength is realized and then / Is fixed forever, there beyond the skies. . . . The graduations came in even flow: / First bachelor’s degree, then wings, then soon / Divine diploma signed by One on high. Click on the links to download finding aids for the above collections. For more of our collections about veterans, search TopSCHOLAR and KenCat. 1917 saw the creation of the Army ROTC program at Western under the National Defense Act of 1916. 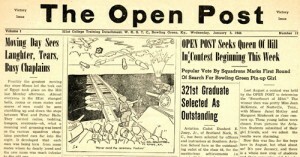 In 1918, the Board of Regents allowed for the formation of the Student’s Army Training Corps. Barracks were provided for participating students. In January 1919, this group became the Reserve Officers’ Training Corps. During World War II the 321st Army Air Force Cadet Training Detachment took up residence on campus. 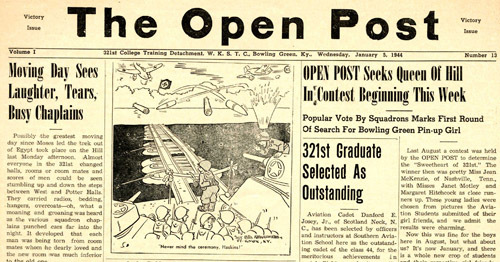 From 1943 through 1944 the group published a newsletter The Open Post, which has been digitized and is now available TopScholar. 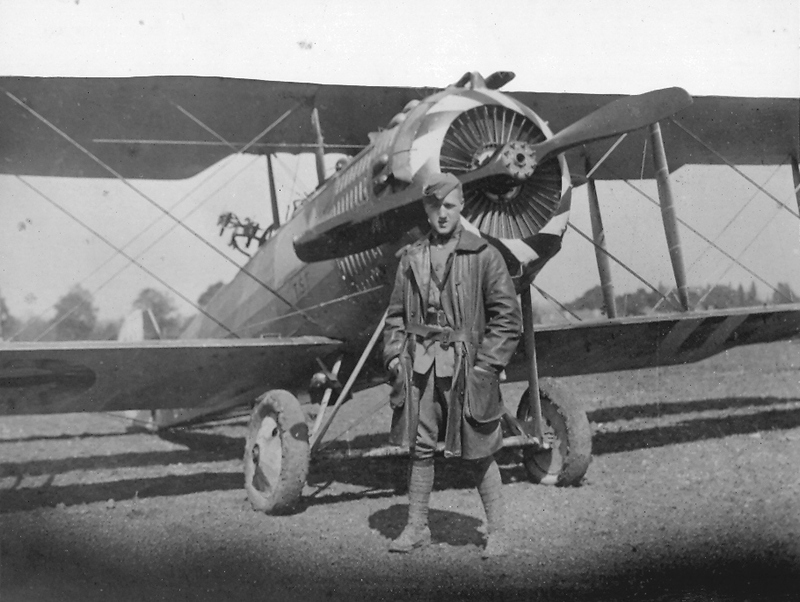 A Military Bibliography of primary and secondary sources in WKU Archives has been created. It documents WKU student military units such as the Pershing Rifles and Scabbard & Blade. There is information regarding veterans, World War II, Vietnam and the Persian Gulf War as well. The son of longtime music professor Franz Strahm and a WKU graduate, Victor Strahm (1897-1957) began flight training after the U.S. entered World War I. 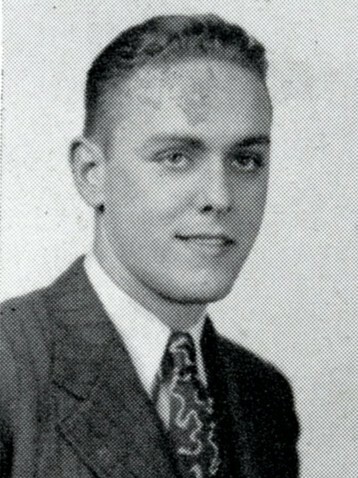 By the time the war ended, he had achieved the coveted designation of “ace.” Victor’s letters home to his parents comprise only one of the scores of collections at the Kentucky Library & Museum that document the lives and experiences of veterans from the Civil War through Iraq and Afghanistan. An ongoing project seeks to document the experiences of WKU alumni in particular. 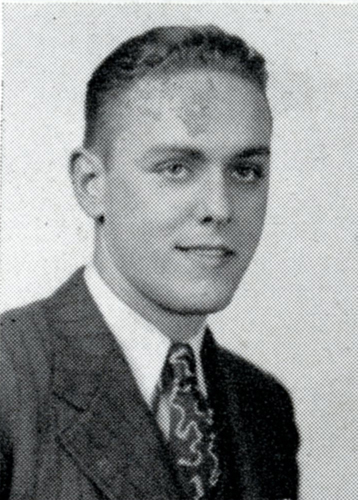 Click here for a finding aid to Victor Strahm’s papers and here to learn more about the WKU Veterans History Project. 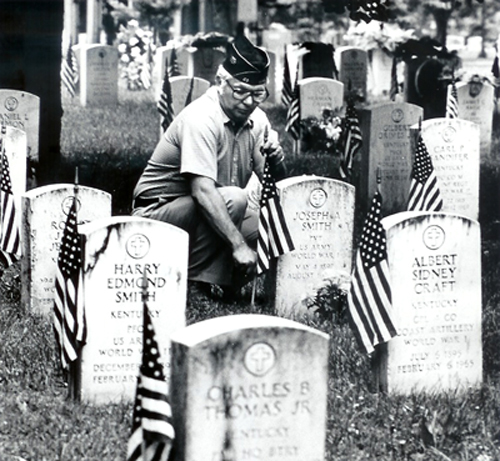 Lest we forget, WKU’s Special Collections Library collects.